Vaccines are meant to pre-emptively protect the body from infection, and while it is possible to produce such protective immunity against the early liver stage of malaria infection, that has been a difficult goal to reach in places that are plagued by high rates of malaria infection. Publishing their work in Cell Reports, investigators at the University of Washington (UW) School of Medicine may have found an explanation. Malaria have a very complex life cycle, and the investigators found that the latter blood stage of malaria infection can inhibit the formation of protective immune cells, and their antibodies, that would otherwise prevent the early liver stage infection. "The blood stage of malaria infection has a very profound impact on the liver stage immune response, and that impact had never been dissected and visualized at this level," said one author of the work, Marion Pepper, a researcher at UW Medicine and Assistant Professor of Immunology at the UW School of Medicine. "These studies really suggest that you need a vaccine that is protective against both stages of infection to effectively prevent malaria." To track how the blood stage of malaria infection overpowers the liver stage immune response, Pepper’s research team studied how malaria infection at the blood stage can overpower the immune response to the liver stage with a mouse model. Two groups of mice were infected with different forms of the malaria parasite, one of which was created by study collaborators in the lab of Stefan Kappe, UW Affiliate Professor of Global Health and investigator. This form arrested when it reaches the liver infection stage; the other form continues to develop into the blood infection stage. The researchers determined that six days following infection, mice with the blood stage infection had significantly lower antibodies levels compared to mice infected with the liver-stage parasite. The team wanted to know what was underlying that difference, so they observed Plasmodium liver stage-specific B cells differentiating - becoming a more mature or specialized cell type. B cells are able to differentiate into early effector cells, which secrete antibodies or long-lived memory cells, which can both confer protection against malaria. It was found that 14 days following infection, B cells in mice infected with blood stage malaria parasites did not follow through on the changes required for making rapidly responsive memory cells. But in mice that received the engineered, liver-stage parasite type, B cells could still differentiate, making the necessary memory cells and the antibodies that mount an effective immune response. "This work really highlights the importance of looking at antigen-specific B cells," said Pepper. "These data also suggest that if you're getting a vaccine while you have an ongoing blood stage infection, there is a chance that the vaccine will not generate good memory cells because the blood stage disrupts all the processes that are involved in making that immunological memory." The researchers are hopeful that this problem is solvable with the right drugs since they demonstrated that show that if the second stage of the infection is treated with a drug, B cells are then able to make responsive, effective memory cells. While that could still be some time off, this work may help answer questions about malaria vaccine efficacy in areas with high infection rates. 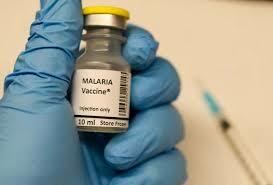 "Malaria has evolved with us throughout human existence and therefore has some potent immune evasion strategies. 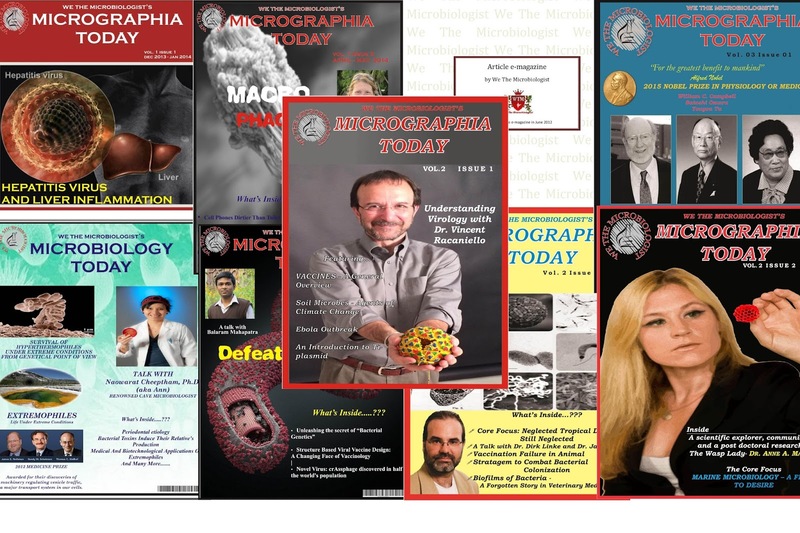 We really tried to tease apart some of the factors that could be driving the loss of protective immunity during natural infection and with current vaccine strategies in areas of high malaria transmission," explained Pepper. "Our next step is to compare malaria-specific B cells after vaccination or natural infection in humans so we can translate these findings and start to determine how to solve this problem." 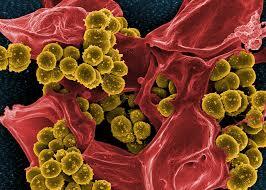 If you’re a bacterium, you don’t need to be resistant to antibiotics to survive them. You just have to make friends with bacteria that are. 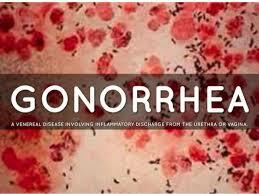 For susceptible cells that are in the right place at the right time, antibiotics don’t have to mean death. Researchers from the University of Groningen showed that chloramphenicol-sensitive Streptococcus pneumoniae can grow if they are placed next to chloramphenicol-resistant Staphylococcus aureus - the resistant bacteria use the enzyme chloramphenicol acetyltransferase to inactivate the antibiotic, making the area habitable for the susceptible Streptococci. This differs from the way in which penicillin can be broken down by secreted beta-lactamase enzymes. According to study author Robin Sorg, “cells with resistance to penicillin can secrete beta-lactamase enzymes which break down the antibiotic. But in our case, the antibiotic is deactivated inside the resistant cells.” The researchers wanted to know if the chloramphenicol-resistant cells could rescue the growth of sensitive cells in the presence of chloramphenicol (Cm) in an animal model. They used a lung infection model that allowed them to quantify bacteria present in the lungs of mice. When the mice were infected with Cm-sensitive (CmS) bacteria alone or with both CmS and Cm-resistant (CmR) bacteria, there were no significant decreases in the number of viable bacteria recovered from the lungs after 24 h. When the mice were infected with CmS bacteria and treated with Cm, the antibiotic significantly decreased the number of CmS bacteria recovered from the lungs compared to an untreated control, as expected. However, when the mice were infected with both CmS and CmR bacteria and treated with Cm, there was no significant decrease in the number of viable bacteria - consistent with their in vitro findings. In fact, 6 of the 14 animals ended up with more CmS cells in their lungs than CmR! Importantly, these CmS cells didn’t survive because they acquired the chloramphenicol-resistance gene from the resistant bacteria - they were not able to grow in Cm by themselves after being recovered from the animals. These findings point out how the presence of multiple types of microbes can complicate antibiotic therapy. These types of studies could also help explain how antibiotic resistance develops, and Sorg thinks her work could help doctors better treat patients with antibiotics. 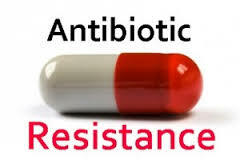 “We know that antibiotic usage results in selection for resistance. However, we do not fully understand the processes, nor why antibiotic resistance can develop so fast. Single cell studies like ours help to fill in some of these details. We know that we should use these drugs with discretion, but we may need to be even more careful than we thought,” says Sorg. Antioxidants are believed to prevent some chronic illnesses - such as cardiovascular disease and cancer - due to their ability to protect against cell damage. New research suggests that a common antioxidant may also protect against non-alcoholic fatty liver disease. Antioxidants are commonly found in fruits and vegetables, and they are thought to prevent cell damage. Vitamins C and E, selenium and carotenoids are all examples of antioxidants. Studies have shown that a diet rich in fruits and vegetables can help to prevent chronic diseases. However, it is not certain whether the antioxidants themselves protect against these diseases, or whether other substances in fruits and vegetables do. New research links one antioxidant in particular - commonly found in breast milk and foods such as kiwi, soy, and celery - to the risk of developing non-alcoholic fatty liver disease (NAFLD). 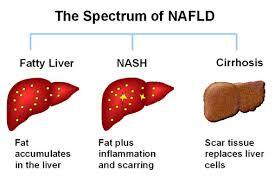 NAFLD is becoming increasingly widespread. In the United States, the disorder is the most common cause of liver disease, accounting for 75% of all chronic liver diseases. Researchers from the University of Colorado Anschutz Medical Campus set out to examine whether an increased dose of pyrroloquinoline quinone (PQQ) administered prenatally in obese mice could halt the progression of NAFLD. The findings were published in the Journal of the Federation of American Societies for Experimental Biology. Led by Karen Jonscher, Ph.D. - associate professor of anaesthesiology and a physicist at CU Anschutz - the team fed a high-fat, high-sugar Western diet to pregnant mice in order to induce obesity. Another group of pregnant mice was fed a healthful diet. Additionally, a subgroup from each of the two groups received PQQ in their drinking water. As expected, the mice fed a Western diet gained more weight than those fed a healthful one. Supplemental PQQ, whether administered pre- or postnatally, had no impact on the weight gain. However, PQQ treatment reduced both liver and body fat in obese offspring. PQQ reduced liver fat in mice even before they were born. The researchers found decreased indicators of oxidative stress and pro-inflammatory genes in obese mice that had been given PQQ. This suggests that the antioxidant also reduced liver inflammation. Interestingly, these positive effects persevered in the offspring after the PQQ was withdrawn as part of the weaning process. "When given to obese mouse mothers during pregnancy and lactation, we found it protected their offspring from developing symptoms of liver fat and damage that leads to NAFLD in early adulthood," says Karen Jonscher. PQQ is naturally found in soil, interstellar dust, and human breast milk. The antioxidant is critical for development in mammals, and it can also be found in a variety of plant foods, such as soy, parsley, celery, kiwi, and papaya. Jonscher also emphasizes the benefits of early PQQ diet supplementation for the prevention of liver disease. "Perhaps supplementing the diet of obese pregnant mothers with PQQ, which has proven safe in several human studies, will be a therapeutic target worthy of more study in the battle to reduce the risk of NAFLD in babies." An international research team, led by the University of Bristol, has provided the first clues to understand how the mcr-1 gene protects bacteria from colistin - a 'last resort' antibiotic used to treat life-threatening bacterial infections that do not respond to other treatment options. Last year, members of the team, led by Dr Jim Spencer from the School of Cellular and Molecular Medicine, in collaboration with colleagues from Oxford, Cardiff, Diamond Light Source, Thailand and China, identified mcr-1 as the first colistin-resistance gene that could be passed between bacteria, enabling resistance to spread rapidly within a bacterial population. Since then, the mcr-1 gene has been detected in common bacteria, such as E. coli, in China, the United States and across Europe first in farm animals and recently - worryingly - in human patients. The spread of mcr-1 has been linked to agricultural use of colistin, indicating that transmission between animals and humans may take place. In response to these findings the Chinese government has now banned use of colistin in animal feed. Colistin acts by binding to, and disrupting, the outer surface of bacteria. Bacteria carrying the mcr-1 gene make a protein that modifies the bacterial surface to reduce colistin binding, making the organism resistant. In their work the team used X-rays produced at Diamond's crystallography beamlines to generate detailed pictures of the portion of this protein responsible for this modification, and with this information identified key features that are necessary for it to function. They also constructed computer models of the chemical reaction that leads to resistance. This provides the first clues as to how mcr-1 acts within the bacterial cell, as well as information essential to efforts to identify ways of blocking MCR-1 function that could restore the activity of colistin against bacteria carrying mcr-1. Professor Adrian Mulholland, co-author of the study and Principal Investigator for the Bristol Bridge initiative, based in the School of Chemistry, said: "The importance of understanding colistin resistance can hardly be overstated: it is rapidly emerging threat to public health. "Our results illuminate the structural and (for the first time) mechanistic basis of transferable colistin resistance conferred by mcr-1, thanks to the combination of biological, chemical and computational expertise brought to bear on this project.We are confident that our findings will drive efforts to understand mcr-1-mediated resistance and ultimately help identify routes towards overcoming MCR-1 activity in harmful bacteria."